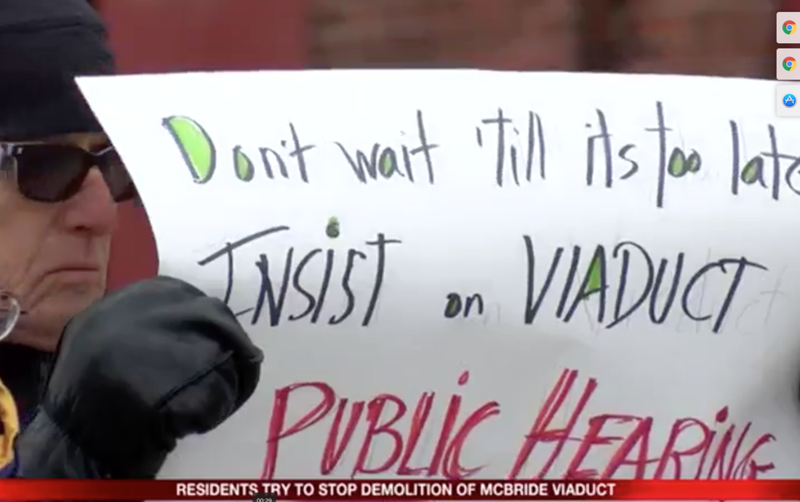 YourErie Jet24/Fox66 interviews Attorney Filippi, Architect Trott and Councilman Horton at Viaduct — Why Save the Viaduct? To Keep Kids Safe. 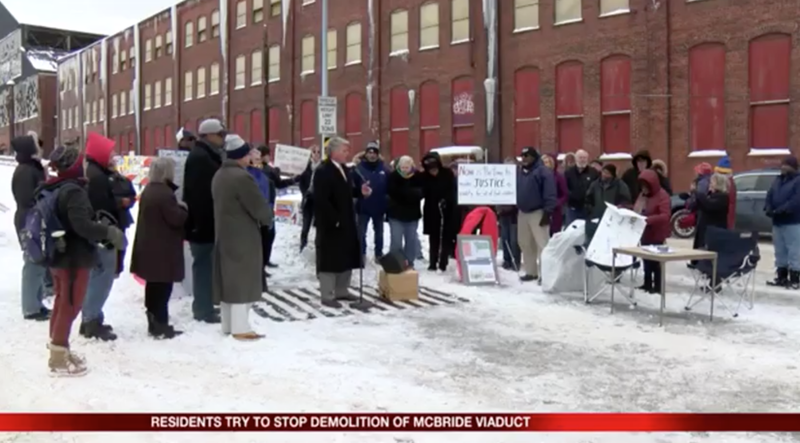 At today's press conference at the McBride Viaduct, Attorney Rick Filippi, former Mayor of Erie, describes the planned demolition as "a decision made by engineers." He noted that an injunction "is a tool of last resort" that cannot save the bridge unless the City begins to "think more creatively." Architect Adam Trott, the President of ErieCPR, the citizens group spearheading the effort to save the Viaduct reported "we have 1.7M right out the gate to fix the bridge" and that through matching grants, that money "can be leveraged to 3.4M" which is $400,000 more than is needed to repair the Viaduct for non-vehicular use. The Viaduct is located in the heart of the Eastside of the City, a key part of Erie County District 2 which is represented by Councilman Andre' Horton, the first African-American to serve on County Council. Councilman Horton said "we owe a discussion to the public" about the Viaduct. 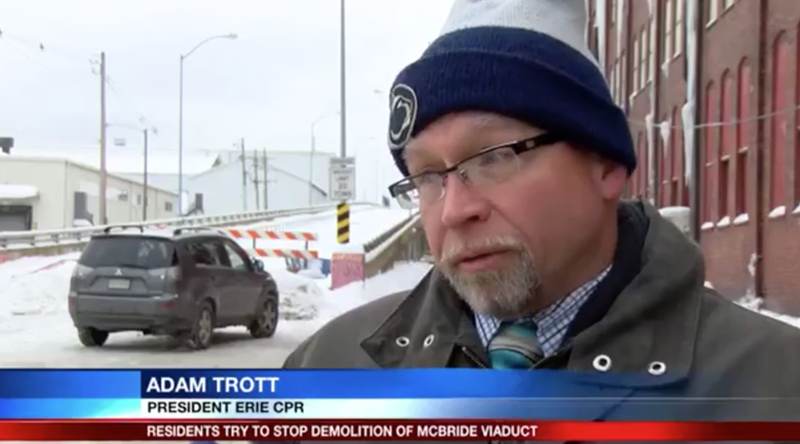 Newer PostWISU WSEE Erie News Now reports "Optimism for Viaduct"